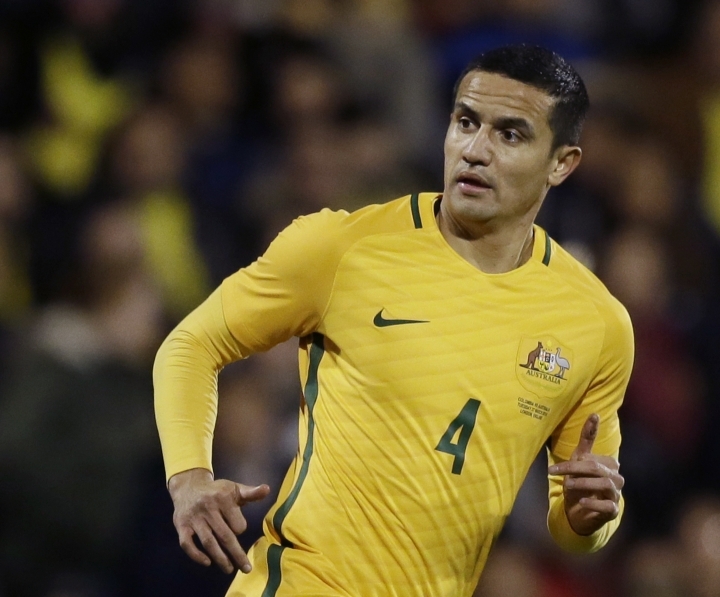 SYDNEY — Tim Cahill is in Australia's provisional squad for the World Cup in Russia, boosting his prospects of being selected for a fourth straight tournament. 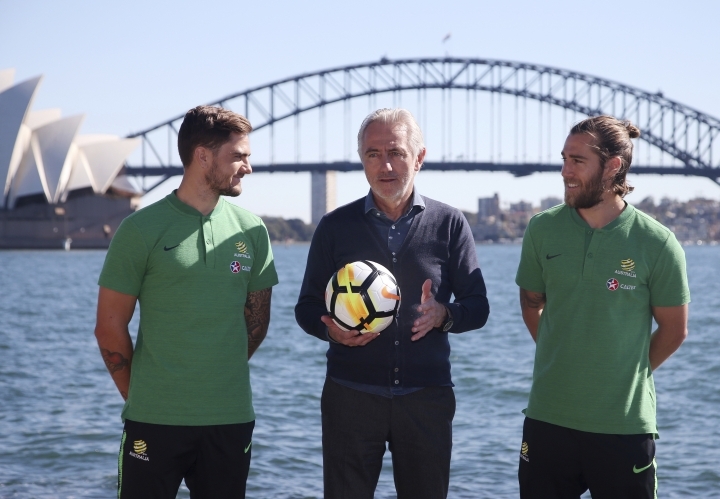 Cahill was among 32 players announced by coach Bert van Marwijk on Monday, but the veteran forward faces an anxious wait before knowing whether he will make the final cut. The preliminary squad will be trimmed to 26 or 27 players ahead of a training camp in Turkey this month. The final 23-man squad is chosen by June 4. The 38-year-old Cahill is Australia's all-time leading scorer with 50 from 105 internationals, but he has struggled for form and match time in recent months. He rejoined English Championship club Millwall in January to improve his fitness but has played a total of just 63 minutes from 10 matches and failed to score any goals, but Van Marwijk told a news conference his big-match experience was highly valued. "He is a special case ... he is special in everything," Van Marwijk said. "He is 38 and maybe one of the best-ever players for Australia. He is a very good striker. "He doesn't play (at the moment), maybe five or 10 or 20 minutes," said the Dutch coach, noting Cahill was forced to miss Millwall's final two league games due to a ban for violent conduct. "Also, he has a problem that he is suspended and I have to take a decision whether to take him to the world championship. "He is not 19 like (Daniel) Arzani, he's twice as old, but is also a player who can make a difference." Arzani, who is regarded as one of Australia's brightest young prospects after helping Melbourne City win the A-League, also made the provisional squad. The teenage winger, who is also eligible to play for Iran, could become the youngest Australian to play at a World Cup. 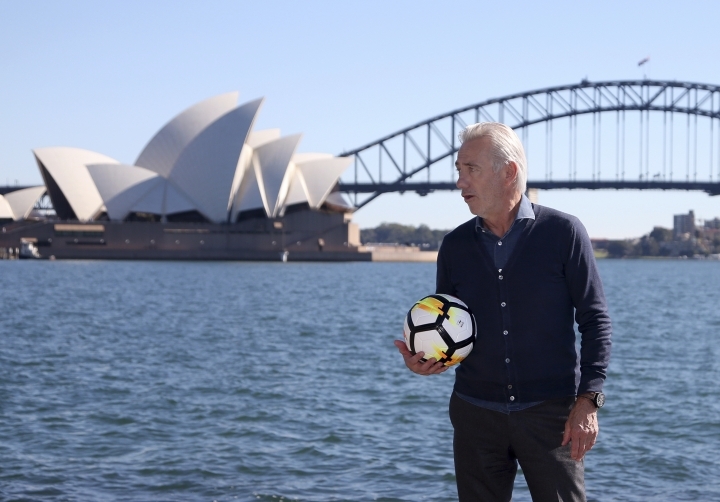 Van Marwijk stuck with the experienced core of players who guided the Socceroos through the long qualifying phase, and produced one surprise by picking uncapped defender Fran Karacic. Born and raised in Croatia, Karacic has never set foot in Australia but is eligible to play for the Socceroos because his father is Australian. 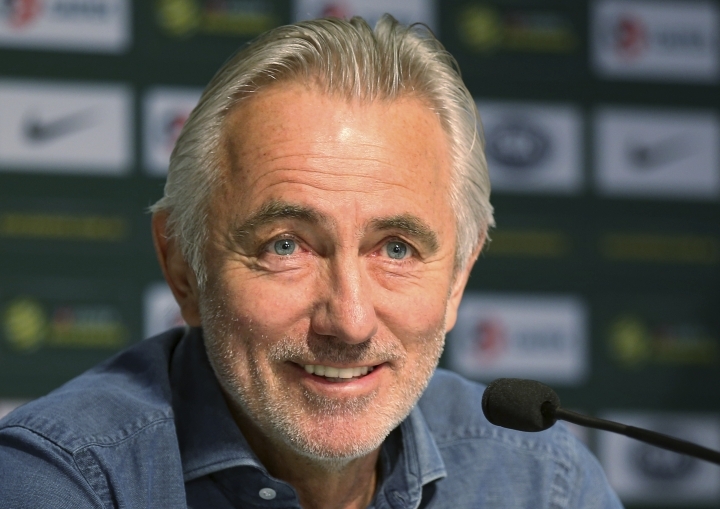 Van Marwijk said Karacic, who plays for Lokomotiva Zagreb in Croatia's top-tier league, was picked because Australia has a shortage of quality right backs. 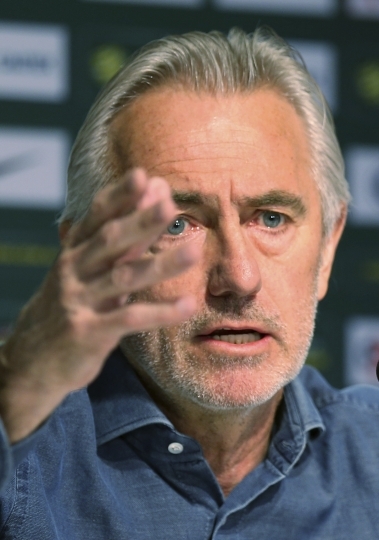 "Everybody knows that the right defending position, I don't have a lot of choice for that position," Van Marwijk said. "He is already the captain of his team, at 21 years old. "He plays only right back and we don't have a lot of players in that position." Striker Jamie Maclaren was also recalled after some strong performances for Hibernian in the Scottish Premiership. Maclaren hasn't played for Australia since November and a qualifier against Thailand. Australia is drawn in Group C at the World Cup alongside France, Peru and Denmark. Goalkeepers: Brad Jones, Mitch Langerak, Mat Ryan, Danny Vukovic. Defenders: Aziz Behich, Milos Degenek, Alex Gersbach, Matthew Jurman, Fran Karacic, James Meredith, Josh Risdon, Trent Sainsbury, Aleksandar Susnjar, Bailey Wright. Midfielders: Josh Brillante, Jackson Irvine, Mile Jedinak, Robbie Kruse, Massimo Luongo, Mark Milligan, Aaron Mooy, Tom Rogic, James Troisi. Forwards: Daniel Arzani, Tim Cahill, Apostolos Giannou, Tomi Juric, Mathew Leckie, Jamie Maclaren, Andrew Nabbout, Dimitri Petratos, Nikita Rukavytsya.